Improvised Intentions: Thirty interesting facts about myself? that is a lot. I don't know if I'm interesting enough to have thirty. we'll see if they get more obscure towards the end...! I'm not even half way through Michael's first deployment which is a thoroughly depressing fact. I always think I'm not cool enough to pull off a certain new trend (hair ties, flatforms etc) and then I join the part super late and decide I want to wear it regardless. I try not to take tablets e.g. painkillers unless I really really have to, and the only tablet I take willingly is my migraine medication. I've had penpals from all over the place; Russia, France, Germany and places in England. So there you have it, I did make it to thirty! Must admit that I struggled from 26 onwards though haha, hopefully you can't tell. Looking forward to reading everyone else's today! 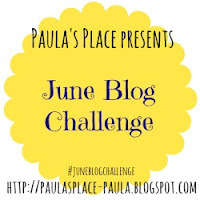 Stopping by from Paula's Place 30 day blogging. I don't mind eating out of date food if it still smells and looks good. Except milk I know it has the sale date on it but that's when I throw it away. I agree it was hard coming up with 30. Oh yes, I can still do milk as long as it smells alright! I would have never guessed you had that many piercings? Bellybutton? I think I also expressed my love for dresses hehehe, I wish more girls wore dresses because whenever I wear a dress people are like oh you going on a date? And I'm just like -_-, yea rub it in! Aren't you just the cutest thing! I loved reading your list and am in total agreement with you about the dresses. I just love the flow-y summery looking ones. They sort of remind me of the 50's, back when that's all women wore. Such a cute post! I have blue eyes and I always wanted green ones! About some trends I feel they are too silly to follow and then i come around to it and wonder why I didn't do it before.